Do you have any photos or general informations about? Charlie>,So we need to see if we can help Graziano, find information for his bike rebuild. 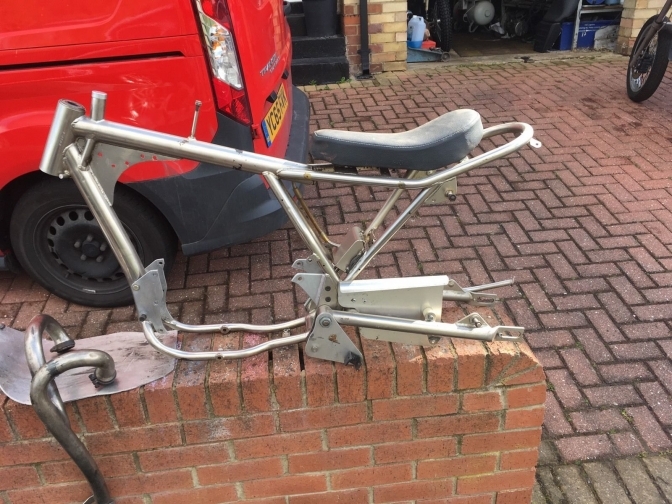 And taking a look at the Photos he as sent me of the "Butler" Tempest trials bike below, you know he is going to do a superb re-build on the Wassell /Triumph. Other side of bike on the "Butler page". 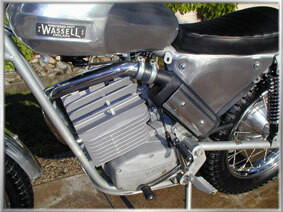 A bit about the Wassell Brand of Trials bike. The original W E Wassell Limited was established in 1946 by W E (Ted) Wassell after being de-mobbed from the Navy in 1945. The Company was incorporated in April 1956. Originally, nearly all the parts sold were replacement spares for all the popular British motorcycles, but in later years, various spares and accessories for Japanese motorcycles were added. During this period, the market was worldwide, though the majority of sales were actually in North America. The Company employed a full quota of 8 full-time sales representatives for the UK, with senior management facilitating the European, Australasian and North American markets. The original rented premises were in Birmingham, where Wassell traded for several years before moving to its own premises in Springhill (Birmingham 18). In 1967, purpose built premises were constructed in Burntwood, Staffordshire covering 67,000 sq ft, as the Springhill premises had become far too small. While the majority of the Burntwood site was used as warehousing, in 1976 a manufacturing division was also constructed, to begin the production of a comprehensive range of steel fabricated products and accessories. The site also compromised its own printing and marketing department. 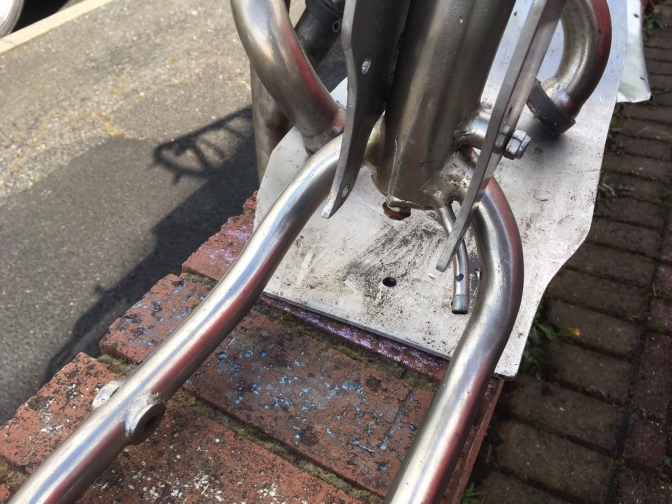 Wassell's beautifully formed alloy tanks and fenders had for years been the chosen item for a generation of home built special and kit bike builders the world over and there wasn't a small production British trials or motocross machine that didn't possess some form of Wassell componentry. At the 1972 Manchester Motorcycle show, for the first time Wassell showcased it's beautifully built trials and scrambles frame kits for the popular BSA Bantam 125/175 two stroke engine. The success of these kits prompted Ted to start production of complete motocross, enduro and trials bikes. 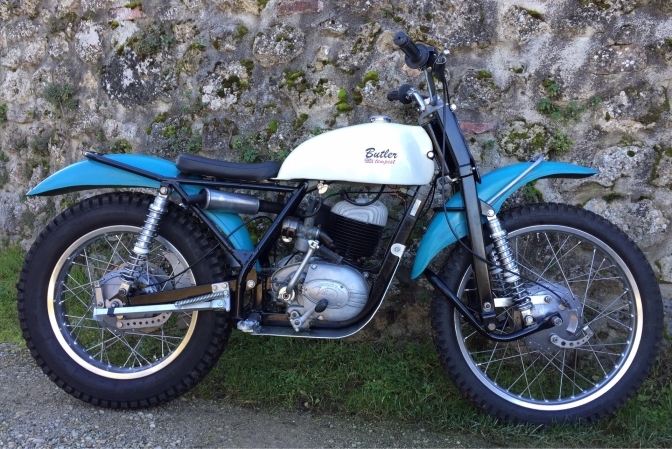 With the help of ex-Dalesman engineers Jim Lee and Peter Edmonson, Wassell unveiled the 125 Sachs powered trials and motocross machines in late 1972. Both models were originally sold in the UK with a list price of £315. 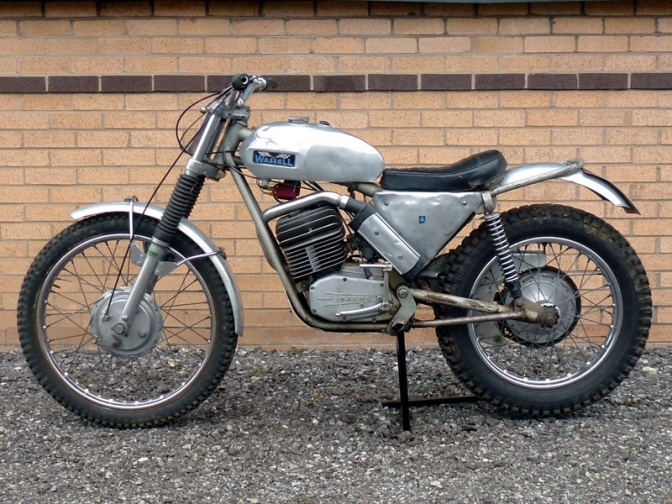 The Company had built some 3000 off-road motorcycles, many of which were exported to the U.S. via John Penton under the Penton Mudlark mark and via Mitsubishi renamed as the Tyran Antelope. 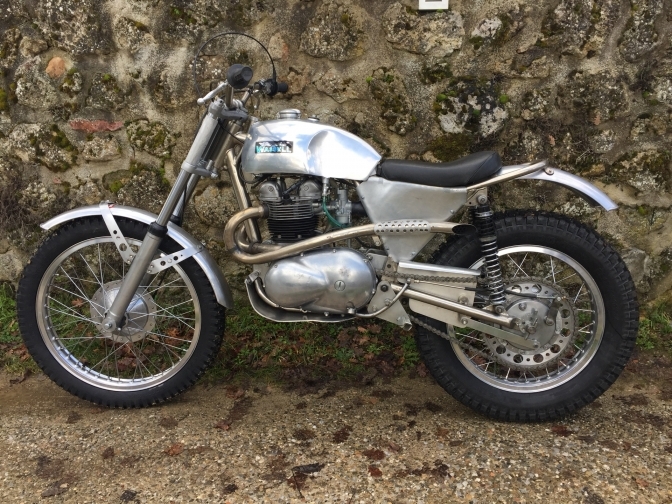 The Antelope featured Ceriani style 35mm forks, REH conical hubs, Dunlop chrome steel rims, Girling shocks, Doherty levers, grips and throttles, and Wassell's own 1.5 gallon alloy fuel tanks and fenders. This is the 125 Sachs engined production bike. And one of the original 100 built to take a BSA Bantam engine. 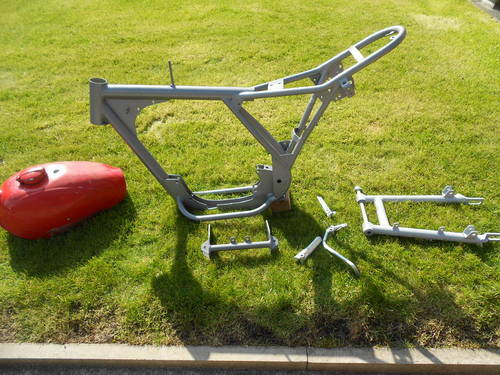 Here is the Wassell frame for the Triumph twin engie that Graziano as bought. The oil feed and the engine rails are Bronze welded in. Bronze, and Mig, again Could this have been converted later to take the Triumph Twin engine? 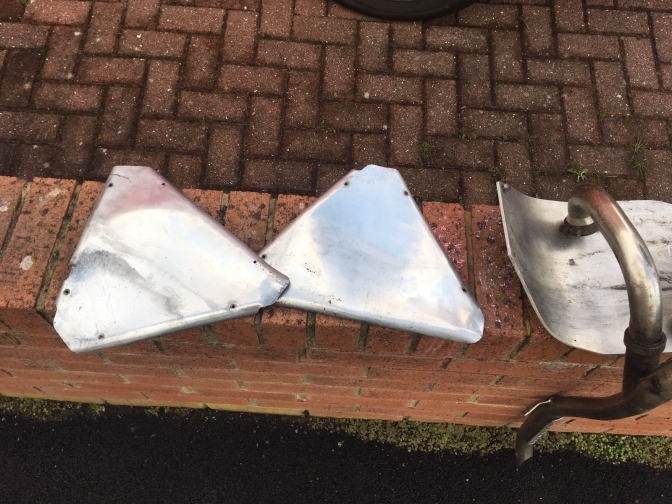 Side panels that were a Wassell Production fitting at the time to the lightweight trials bikes,as were the same on the Dalesman now developed by Peter Gaunt. More Later, and we do need information about this machine so that the new owner can build it to the oriinal specification. 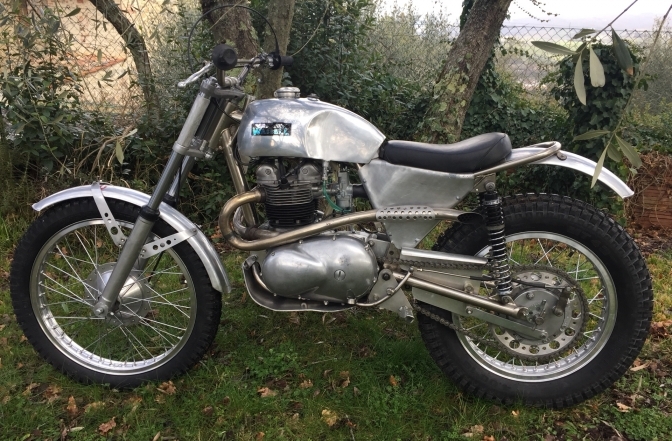 We have still not received any new information about this Wassell/ Triumph. But I have my suspicions it could have been built for Mick Grant. 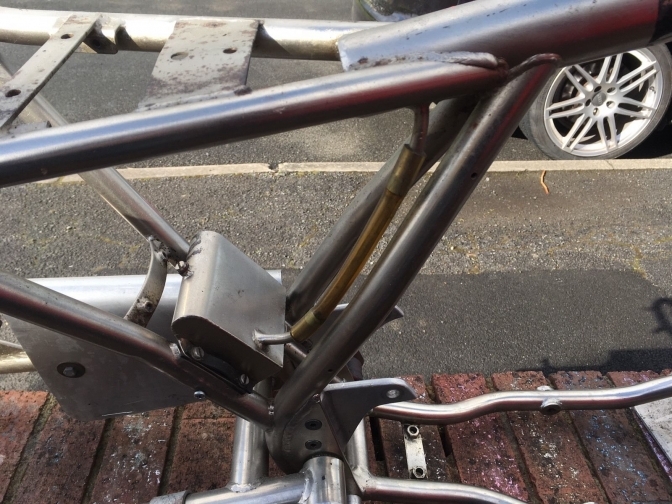 Below are the photos of the bike and a few words about the build. I bet the bike has the Triumph Growl with that exhaust. Nice job. Wassell/ Triumph, and a Triumph for the owner. 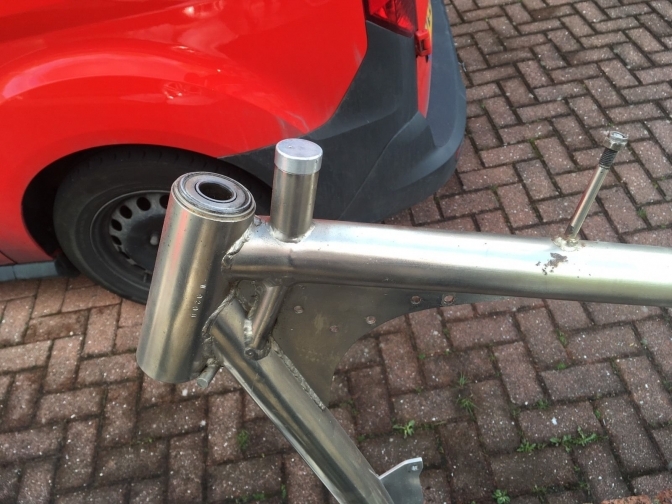 The history is quite simply, someone in Uk have built a Drayton and só discharged that frame and put it on eBay, I purchased the for me very precious item for little money. Some years ago I had the opportunity to buy four sets of Sprite/RHE hubs and two pair of MP forks . I’ve restored the engine without rebore because I would like to put Cub pistons and make it 400cc. I have passion for UK indipendents small manufacturers and especially for their Triumph engined machines. 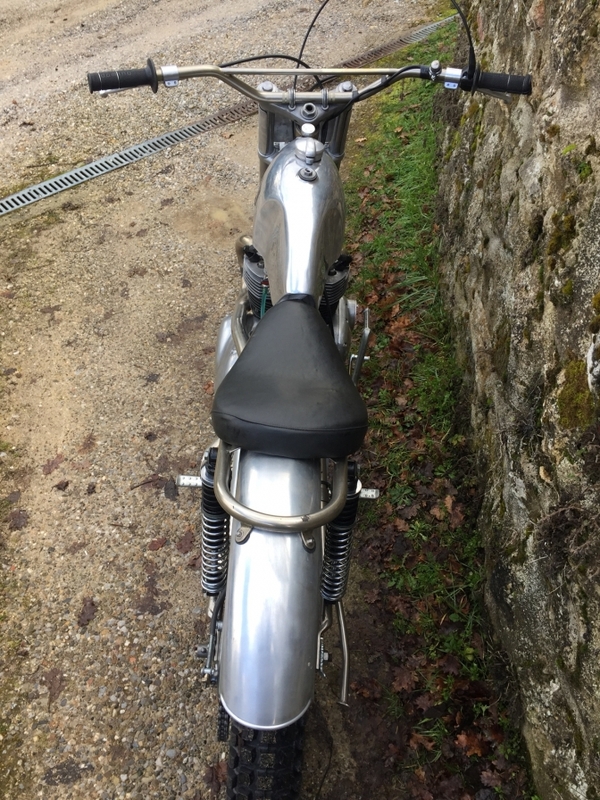 It’s my intention to bring the bike at the Burgundy Two Days in France this summer. I’ve been an MXer for all my life and I’m just approaching trials slowly and with respect . Charlie~Oo> Thank you Graziano for saving another little know of machine. 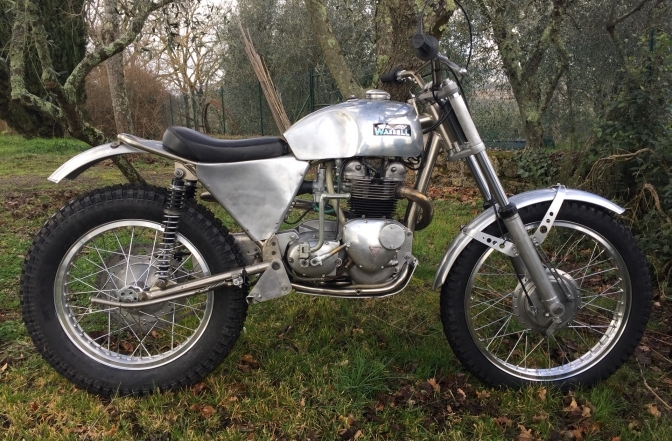 and turning it into a machine to be proud of and saved for Classic Trials History.